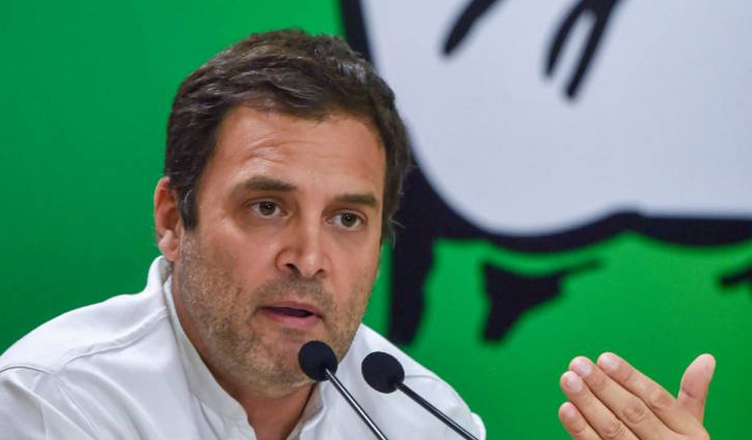 Home » Why should we vote for Rahul Gandhi in 2019? Why should we vote for Rahul Gandhi in 2019? As the year 20118 is coming toward its end, the battle for the Prime Minster position in India is getting intensified as the 2019 general election is going to be close fight between Narendra Modi and Rahul Gandhi. It is true that Narendra Modi led BJP won with a huge difference in 2014 election but the last four years of BJP rule has been nothing else than burden on the shoulder of common population. On the other hand, Congress has lost the election but Rahul Gandhi has emerged as a beloved leader in last four years even after facing a lot of controversies and false accusations by opposition parties. In last four years since BJP came into power, we have been hearing a lot about the ‘acche din’ (better days) in almost every single campaign led by Narendra Modi. A failed demonization plan without any proper planning has put the nation in great depression from which we are still trying to recover. A lot of Indians have lost their jobs due to this poorly planned demonization and its forceful execution in the nation. It’s hard to digest the fact that leaving the majority of population without any money to even fulfil their basic necessities is a plan of Modi’s acche din government. Even at the time of global inflation, Indian citizens have not faced financial and job crisis whereas the dominant approach of BJP government had left the country helpless in times when the domestic and foreign industries are nurturing in the nation. Another major failure of BJP government is the faulty execution of GST bill which completely shattered small businesses. See the negative impact of GST in India The tax imposition would have worked if all the state taxes were exempted leaving only one tax over sales and purchase of goods and services. But the greedy nature of state governments imposing extra state tax had become an additional burden for a businessman making them lose their margin to a great extent. These poorly planned policies has put the nation in lot of distress which is why the cards are getting aligned in favour of Rahul Gandhi as the upcoming Prime Mistier of the nation. The nation has believed in lies of Narendra Modi in 2014 which led the nation in very distressful times. These turbulent times made it necessary for us to choose our upcoming Prime Minister of India as Rahul Gandhi who has been working significantly to fight against the malpractices of BJP government. It is the time when nation needs a new leader who understands the problem of his people and work with them to develop a fruitful solution instead of forcing a new rule to make the condition even worse. A lot of people see upcoming Prime minister in Rahul Gandhi due to his attachment with the people of nation. Being a young leader, Rahul Gandhi is well acquainted with the emerging global treads beneficial for the nation which our previous leaders failed to realize. Depicting the qualities of upcoming Prime minister, Rahul Gandhi has fought furiously for women empowerment and lokpal bills to rule out years old injustice and corruption that is weakening our political architecture. Another major reason behind the fact that people don’t want BJP to come in power again is because as soon as the party comes into power again, their extremists group starts behaving like they have bought whole nation and can do whatever they want. Next Post Why the price of petrol is increasing day by day.